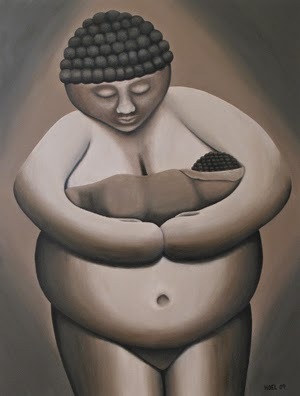 Nurture is a monochromatic image of a woman breast feeding an infant. It was inspired by the Venus of Willendorf (also known as “Woman of Willendorf”); these stone carvings have been thought of as fertility symbols. Nurture is the step beyond fertility. Once there’s been success at creating life, it is time to help it grow.